The 65VX-3 is the 6.5 metric ton solution you were looking for superior perability. 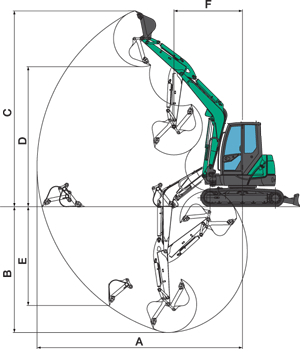 Minimum front swing is only 8’4”, allowing remarkable maneuverability for tight working conditions. A spacious cabin and wrist control type short joysticks makes for a more operator friendly environment. Maintenance has been made easy by incorporating an oil pressure measurement port with quick coupler and control valves that have been positioned on the right side for ease access. 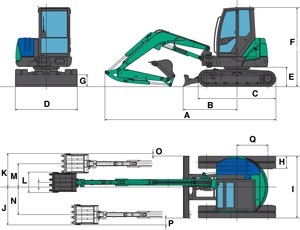 The 65VX-3 is a 14,000 lb unit with great speed and power that far exceeds the mini excavator standards. Bucket breakout force of 12,100 lbs. Bucket Capacity 7.1 cu. ft.